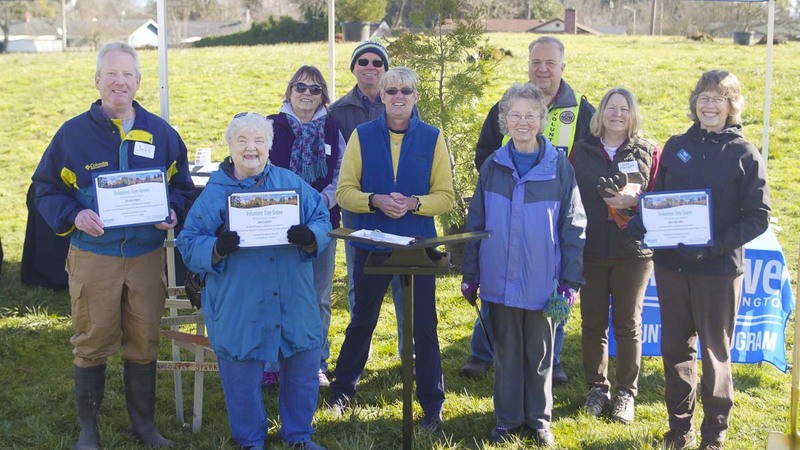 VANCOUVER — On March 9, the city of Vancouver recognized nine exceptional community volunteers by planting trees in their honor at the Volunteer Grove located inside Centerpointe Park on Northeast Fourth Plain Boulevard at Pacific Way in the Ogden neighborhood. Now in its second year, the city established the Volunteer Grove in order to recognize volunteers who have made especially generous service contributions to the city of Vancouver’s volunteer programs and events. Nominations for this award can be submitted online at any time during the year. Recipients are announced and trees are planted each March. To learn more about the grove and this year’s recipients, visit www.cityofvancouver.us/volunteertreegrove.